Proven, natural and organic treatments for getting rid of carpenter ants in the house and outside. Few pests cause more panic around the home than those involving wood-destroying insects. Carpenter ants (Camponotus spp.) damage wood by tunneling and nesting inside it. However, unlike termites, they do not feed on wood, but burrow into it to build their nests. They usually prefer damp, decaying lumber that is easy to excavate and rarely cause harm to sound structures. Read on to learn how to get rid of carpenter ants yourself and save BIG money! Carpenter ants are large (3/8 – 3/4 inch long) when compared to most ants and black, reddish brown or yellowish in color, depending on the species. They are often found inside during spring. However, their presence is not sufficient enough evidence to conclude that there is a problem inside your home. Concerned homeowners should try to determine whether the ants are coming from an outdoor or an indoor nest, although this can be difficult. 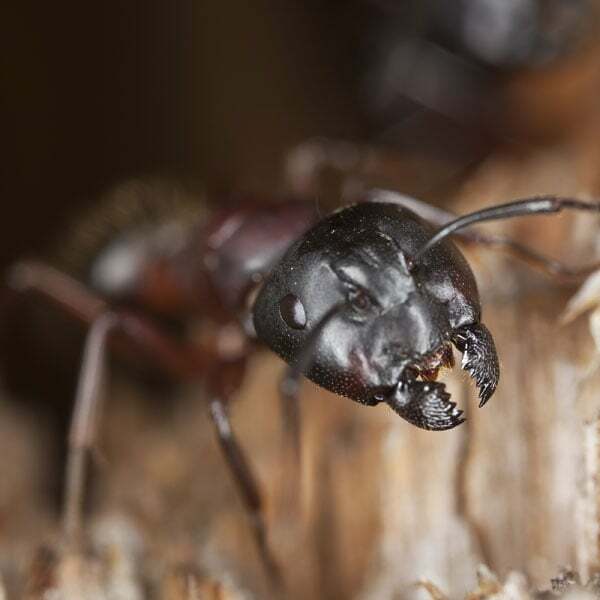 Tip: According to the University of Minnesota Extension Service, if you find carpenter ants in your home during late winter or early spring, that suggests the ants are coming from a nest inside your house. However, if you see activity later in the year, it is less clear if the nest is inside our outside. In almost all cases, ants seen indoors during winter months are an indication that there is an inside nest. One exception is when ants are brought indoors in firewood. Ant colonies are founded by a single fertilized queen which lays approximately 15-20 eggs after establishing a nesting site in a cavity in wood. She feeds the developing young with salivary secretions and does not eat or leave the nest during this time. The queen has few duties except to lay eggs. The workers which are reared first assume the task of gathering food with which to feed the younger larvae. They are also responsible for excavating galleries to enlarge the nest and tending the eggs, larvae and pupae of the next generation. Colonies grow very rapidly and reach a peak population (approximately 3,000 workers) within 3-6 years. At this time, winged reproductive females are produced and fly off to establish new colonies. Prevent excess moisture accumulation in wood through good maintenance of the house structure and surroundings. Repair existing damage, then cut off ant access routes. Eliminate potential nesting areas by repairing injured trees and removing stumps and wood debris. Prune branches that touch the house and eliminate wood/earth contact with structures. 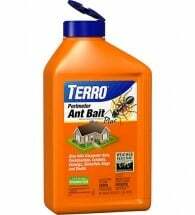 Broadcast least-toxic, weather-resistant TERRO Ant Bait Plus around exterior structures, trees, stumps and firewood piles. Reapply every four weeks, as needed. 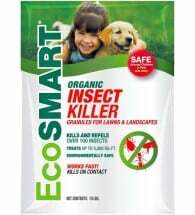 Apply Insect Killer Granules around foundations, lawns and landscaped areas to eliminate or repel all kinds of troublesome insects. 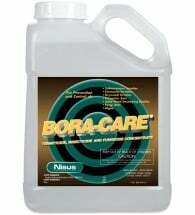 Apply Bora-Care directly to ALL untreated wood surfaces. Its patented formula penetrates deep into wood and provides long-lasting protection against boring insect damage. Locate nests by trailing workers and searching for frass piles (insect feces) and saw-dust like wood shavings. 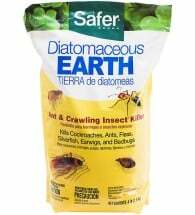 If nests are found, apply non-toxic diatomaceous earth or boric acid powder to eliminate colonies. 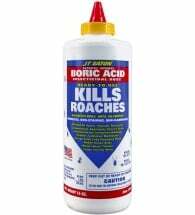 If pest populations become intolerable, spot treat with a fast-acting botanical insecticide. These natural sprays have shorter half-lives and less toxicity as commercial chemical pesticides. Check firewood carefully for insects prior to bringing inside and monitor closely once the wood warms. Tip: Store firewood off the ground and as far from the house as practical.